The thought of failure is so overwhelming, isn’t it? We constantly worry about the negative aspects of life rather than finding joy in what we already have! We, as human beings, are never satisfied with whatever we have! When can we truly say that we finally found happiness? The thought of failure overrides the mind and all the negativity gets attracted. I was always afraid that I would never be able to reach my goal. Being in the academics field, there is tough competition as the seats are less and there is a dearth of opportunities. I realized that once we start fearing, we give up and the fear comes in the way of our success. The fear of failure is never going to help you in life! It will never let you rise above your current situation. Why can’t we give our 100% and not think about the outcome. You need to have faith and most importantly, you need to believe in your dreams. You can do it! The fear of failure paralyzes your dreams. Your future is in your hands. If you do not believe in your dreams – Who else will? When we fear that we would never be able to reach our goal, we end up giving it a miss. If you do not try something, you would never know your capability. For example, there is a man, who is excellent at investment banking. He is unhappy with his job and his boss is making life difficult for him! It happens to everyone! However, the man has a plan and he has all the resources to make it happen. His dream is to open his own investment banking firm but he thinks too hard about the outcome. Life is all about taking risks, my friend. We are not talking about mutual funds or giving a chance to a boy! We are talking about bigger goals of life. This one man is excellent at investment banking and if he truly believes in himself, he can change his life for good! It is all about believing yourself and focusing on bigger goals of life. Maybe you do not enjoy being an engineer and your heart is set on becoming a chef! What’s the fear? Go chase your passion! 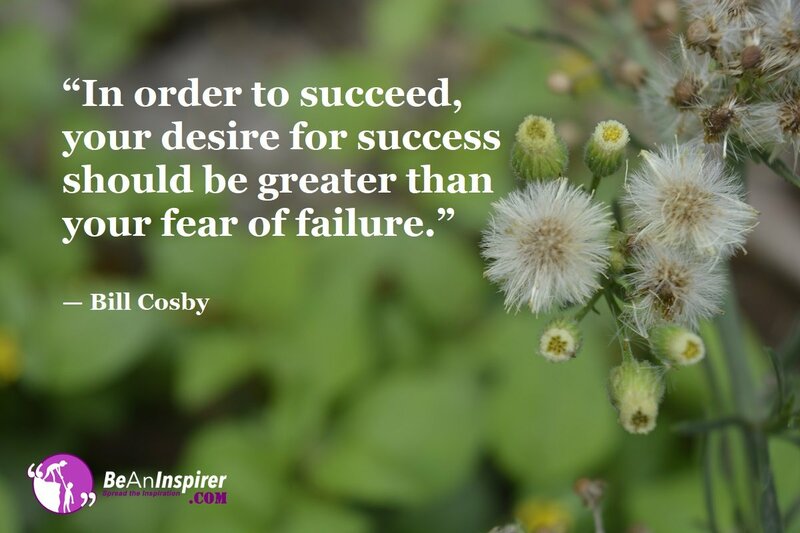 The fear of failure holds you back but you would never know that it might just work wonders for you! Yes, I can do this! That should be the spirit and you too can get the same spirit. Never underestimate yourself. I have seen that children of auto rikshaw drivers, cobblers and all those, who fall below the poverty line, are much more determined to change their life! They do not consider it as a risk! In fact, they consider it as an opportunity to change their life for good. They work hard and even study under the street lamps. Your will power and determination to be successful should overpower the fear of failure. When you are determined that you will achieve success, you eventually will get it! We quit too soon! Majority of the people in this world have experienced failure in a number of projects. This is life! It is not going to be easy and it is certainly not going to be served on a platter. When you start accepting failure, you would be mentally prepared and you would also work harder to achieve success. You might be very close to success and you lost it all because you came too close to it and gave up. You need to have patience, my friend! Patience and determination brings you closer to your goals! Be a fighter and learn to accept failure as it is. The fear of failure kills the upcoming opportunities and that should never happen! Give it time and hold on! Once you believe in your dreams, you will be successful! It will happen one day and that day would surely come. Mark my words!